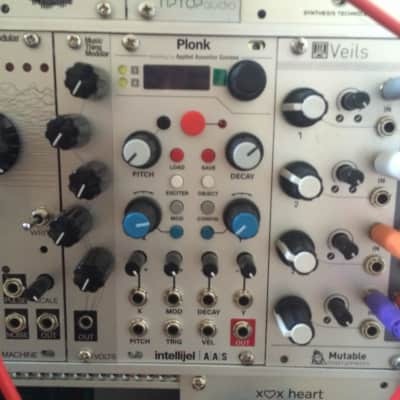 ■ Resonator section models strings, beams, marimbas, drumheads, membranes, and plates with additional synthesis methods (including non-modal) planned for the future. ■ Two Voice Polyphonic at full resolution (16-bit 44.1Khz). 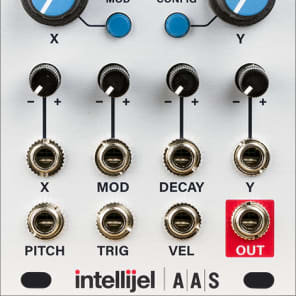 ■ Pseudo multi-timbrality via CV selectable presets recalled on each new trigger/gate.